Suffering a concussion in a car accident is not uncommon. Though seatbelts and headrests do their best to hold you in place and cushion the impact in an accident, there are plenty of ways to still suffer head injuries in a crash. According to the Brain Injury Association of New York State and the CDC, about 17.3% of traumatic brain injuries are caused by car accidents. If you or a loved one suffered a head injury, contact an attorney to find out how you can overcome New York’s “no-fault” car accident rules and sue for the injury. The Queens car accident lawyers at Sullivan and Galleshaw offer free consultations on injury cases. Throughout New York State, car insurance policies are known as “no-fault” policies. This means that, in most car accidents, you do not sue the responsible party. Instead, your own car accident insurance will pay for your injuries. This happens regardless of who was at fault. It is only in very severe or expensive cases that the law allows you to reach beyond your own insurance and go after payments from the at-fault driver’s insurance, or to sue the at-fault driver directly. This no-fault portion is sometimes called “personal injury protection,” (PIP) and works to cover you when you are injured, no matter who caused the accident. 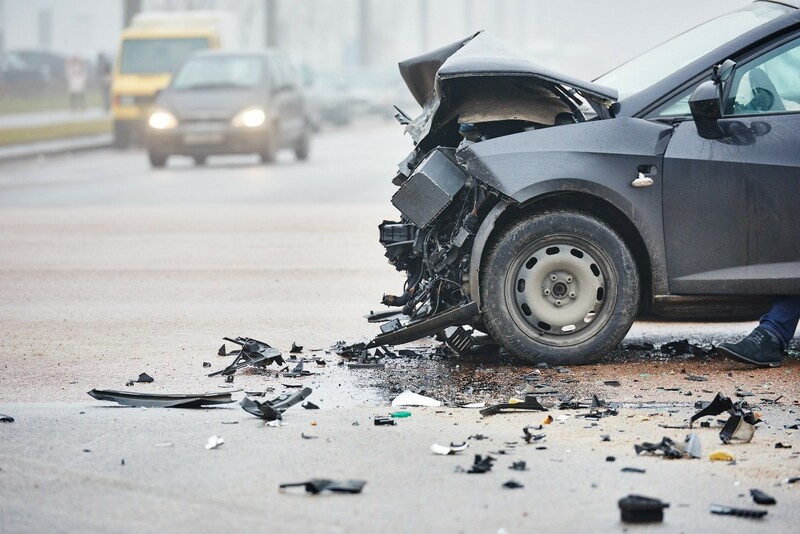 Even though these rules usually limit car accident lawsuits, you can always sue for injuries that cost more than your PIP coverage, or injuries are very severe. If the injuries cause more than $50,000 in medical expenses, you may be able to take your case to court rather than relying upon insurance to pay for your needs. Taking your case to court has dozens of advantages over relying upon insurance. First, you may be entitled to areas of compensation that you would not be able to get through insurance. The most common of these is “pain and suffering” damages. Insurance companies will typically pay for medical expenses and lost wages, but may not pay you directly for your pain and suffering. Second, a jury decides your payments, not the insurance company. This could mean higher damages than you might be entitled to through insurance. If you suffered a simple concussion, your injuries may not be too severe, and the compensation from insurance may be enough to cover your needs if you cannot go to court. Concussions are sometimes called “mild traumatic brain injury.” They are seen as “mild” because they are less severe than “traumatic brain injury” (TBI). While TBI frequently causes death, long-lasting injuries, and serious life changes, concussions may only cause temporary problems. Traumatic brain injury is characterized by severe brain damage from an injury. Damage to the brain may cause you to lose control of certain functions, may cause problems remembering or forming new memories, or may even create mood or cognitive problems. While concussions may include temporary, mild forms of these injuries, plus nausea and unconsciousness, they are not usually life-threatening. Unless there is bleeding or severe injury, your injury may have a good long-term prognosis for recovery. Though concussions are not necessarily severe, repeated concussions are. Chronic traumatic encephalopathy (CTE) is the condition that results from repeated head injuries. This problem, common with football players, boxers, and other athletes, can cause degrading mental conditions, worsening judgment, and more frequent mood swings. Talk to a doctor and an attorney if you suffered a concussion in a car accident after suffering other concussions. Because the at-fault driver is responsible for any harm they cause, even if your baseline condition involved past injuries and concussions, you may still be able to recover compensation for the harm the accident caused. This rule, called the “eggshell plaintiff” rule, or some variation of this name, says that the at-fault party takes the injured party as-is, and must pay for any injuries they caused – even if the injured party was already vulnerable in some way. The Queens personal injury lawyers at Sullivan and Galleshaw may be able to help you with your car accident injuries. If you or a loved one suffered a concussion or traumatic brain injury in a car accident in New York City, call our lawyers today. We offer free consultations to help car crash victims understand their options of going to court or filing with insurance, and fight to help them get the compensation they need. For your free consultation, call (877) 311-HURT today.